It's time for us to find out if that old saying makes sense when it comes to MIDI controllers. 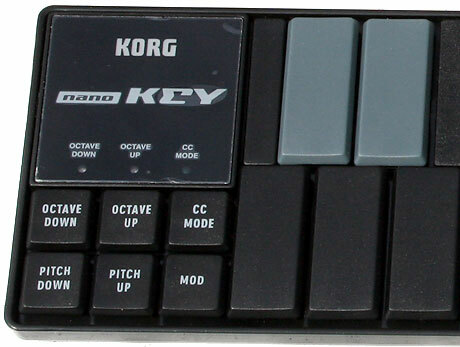 The Korg Nanos come in three types and those are the NanoKey, the NanoPad and the NanoKontrol. 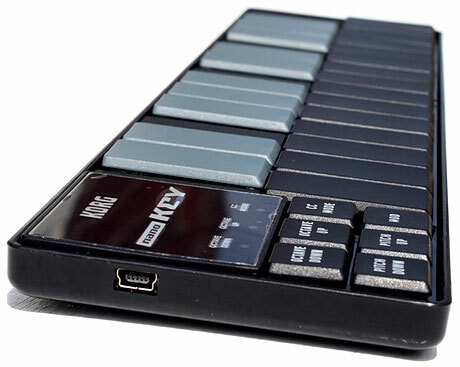 The NanoKey comes with a code to download the Korg M1 LE synthesizer. The NanoPad comes with a code to download the Toontrack Ez Drummer lite drum sampler. The NanoKontrol doesn't come with a code for an app but they all come with a discount coupon for Ableton Live. 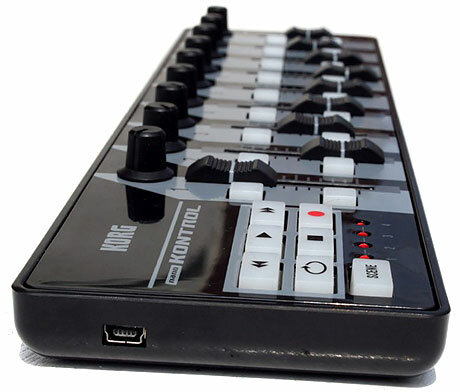 A MIDI controller is a device that sends MIDI information in order to control other devices, in this particular instance it is via a USB connection so you can only connect these to a computer. This does not mean that you can't control other hardware though, it just means that you have to go into the computer with these and then out to any hardware you wish to control via a MIDI out socket. For the purposes of this review we are going to assume that you want to control software which is the drive of these units. The easiest way to explain MIDI is to think of an old remote control car with the wire connected between the controls and the car, you press right the car goes right you press forward the car goes forward, this is essentially how MIDI works, you move a fader or dial and it tells another device to move a certain parameter. 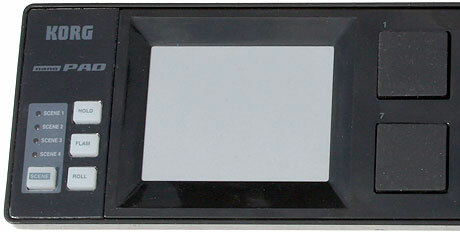 This is Control Change data and is used on dials and sliders to send a value of 0-127, not the highest resolution available in MIDI but the most common and widely used for this purpose. This is MIDI Machine Control and is a set of predefined control information that is used for things like transport controls (Play/stop and so on) if the receiving device supports it. This is note information that is sent to a device to tell it what note to play corresponding to a note as seen on a chromatic keyboard. The Nanos are class compliant which means plug them in and they will be found as a standard USB audio device. 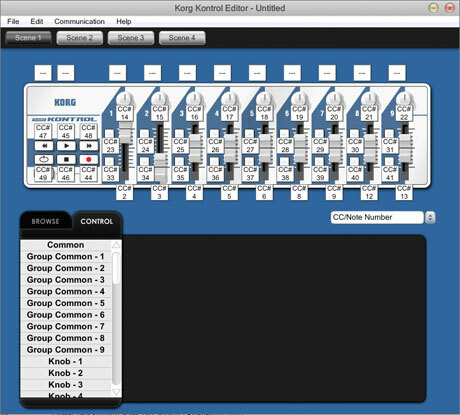 This however won't allow you to configure them using the Korg editor. Indeed you wont be able to configure them at all, and it also means that the devices wont be multi-client either. It is recommended that you go straight to the Korg site and download the latest drivers and editor because there is no CDROM in the box. Once you have the Korg drivers and editor installed you should beware... some MIDI loopback drivers can clash with USB MIDI devices, so if your Korgs don't show up when you install them that may be the cause. Another thing to watch out for is if you swap the controllers around your USB ports, you may have to reinstall the Korg driver before the editor picks up the device again. 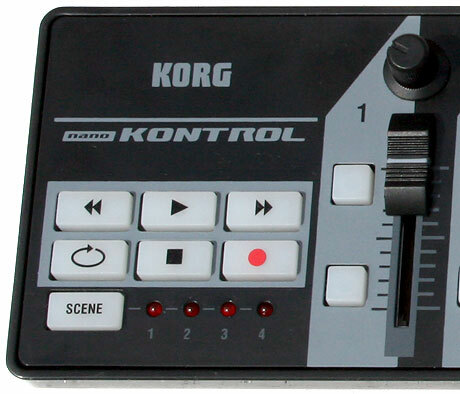 Korg have made it a matter of two clicks to do this so it isn't as bad as it sounds. • CC assignments and ranges. • Scene creation which is supported by the NanoPad and NanoKontrol. A scene is a collection of settings for the controls that multiplies the amount of physical controls available by selecting one of the scenes. • Setup saving to the hard drive. There is a global velocity curve selection for the devices that support it. Velocity curves are the relationship between the MIDI velocity that is sent to devices dependent on the pressure you use to hit a key or pad. This is commonly used for volume, so the harder you hit the louder a sound plays. And the usual modern day niceties of copy/paste undo/redo and so on are included too. Anything individual of interest will be pointed out in the actual device reviews. Opening the box the first thing that strikes you is that this unit looks like a laptop keyboard but in the shape of a chromatic musical keyboard. It also feels like a laptop keyboard and as such doesn't have the best tactile feel. The keys are slightly spongy but they do have velocity sensitivity with a selection of velocity curves that are available via the editor. Even more interesting is that they can be changed into toggle mode and assigned to send MIDI CC which can be instantly reached by a dedicated CC mode button. The keyboard doesn't feel great for playing melodies but you can certainly use it well enough to get note and CC info into a sequencer. Besides the chromatic keys and the dedicated CC mode button you also have octave up and down buttons with associated LEDs. In practice these work well enough using a combination of colours to tell you what octave you are on, and with a simple press of both octave buttons you are reset to the centre octave. There are also pitch up and down buttons which work like a pitch wheel and the speed of these can be set in the editor but there is no range setting. The speed is the amount of time it takes to reach the full pitch bend after you first press the pitch up or down button. A dedicated mod button is also present which is basically just an added CC trigger button and is fully assignable in the editor. If Korg had decided to give the keys the same attack and decay seen on the NanoKontrols buttons (see review below) it would have been a nice addition. As it stands, it performs the job asked of it and that is a simple and low cost keyboard controller. Having said that the addition of the toggle and CC modes is good and it's very conceivable that this device will be gaining quite a few users working mainly in that mode. Besides the low cost the keys do feel like they will last a fair while as long as you are not elephant fisted on them 12 hours a day. And realistically, if you use a keyboard enough to be on it 12 hours a day your sure won't be buying a NanoKey as your main controller. 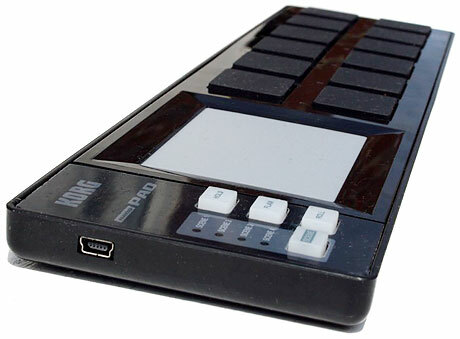 There are 12 velocity sensitive drum pads, the X/Y pad, a scene button and dedicated buttons for hold flam and roll. The drum pads can have the usual momentary or toggle setting, but strangely enough you can assign eight notes or MIDI CC to one pad which may be very useful for some setups. The rest is mainly common stuff like enable/disable a pad's ability to roll or flam (a flam is when two hits are played for every time you hit a pad) and also a global list of velocity curves. The X/Y pad has MIDI CC assign plus polarity, and on top of that it has a touch release setup - and this has attack and release settings like the similar option on the NanoKontrols buttons (see review below). This is a great feature that allows you to create touch sweeps for things like filters and so on. The roll hold and flam buttons are all connected in one way and another to the X/Y pad. When you press roll you must first press the X/Y pad, then press a drum pad to hear the roll. Y axis changes velocity and X axis changes the speed of the roll. Flam is similar but X changes the gap between hit one and hit two. The hold button holds your last touched position on the X/Y pad and is a very useful addition. Lastly the scene button allows you to choose one of four scenes. In use, the drum pads pretty much do what they are supposed to but there are some quibbles. The X/ Y pad can send completely random data in a lot of situations, and if you want something stable you find your finger working its way around the very edge of the pad. The touch release and the hold button are very useful additions and have wide appeal. The drum pads themselves work very well and the velocity sensitivity is not bad for such a low cost unit. A custom app was written to test the X/Y pad and it showed that there is a lot of random data but it can be controlled by using the edge of the touchpad as I mentioned earlier, this seems to be the case with all low cost touchpads though and not just a Korg issue. This device gives you the usual array of transport controls that transmit either MIDI CC data or MMC data and there are also nine faders and dials. Each fader has two buttons to its left, these are divided into what Korg terms a MIDI control group which would be a fader a dial and two buttons. On top of this you have the scene button with four scenes. A very nice feature of the buttons is that when they are in MIDI CC mode they not only have a range setting for on and off value, but also an attack and decay setting. This is really useful and can be used to great effect for one touch filter sweeps and so on much like the feature on the Nanopads touchpad mentioned above. In use you are getting what you pay for here. It's a low cost controller that sometimes feels low cost, but at the same time doesn't feel like it is going to break anytime soon. Don't expect to be doing any heavy duty fader trix on this and I doubt it will let you down. The rubberised buttons move about a bit but actually feel quite nice when you press them. And even if they do feel a little small, they are surprisingly easy to hit as and when you need them. The dials are of a similar quality to the faders, and as long as you don't try to use them for 12 hour screaming filter sessions everyday they should last a long time. Everything else does what it says on the tin and it is great fun using the buttons attack decay settings on a bunch of different software for one touch sweeping of controls. Using this device with your DAW of choice is very painless, and while it works with DJ apps the size and layout isn't really optimised for that usage. There are a lot of good things in the Nanos and the lack of PSU plus MIDI control on the move means that it is very easy to fall in love with these devices. The NanoKontrol is a good low cost controller that will work well enough for any home setup and is surprisingly intuitive even for its small size. The X/Y pad on the NanoPad is not great but works for altering the roll and flam well enough and the velocity sensitive pads are very playable. If you don't have the room for a full size keyboard the NanoKey will let you play melodies happily enough but don't expect to be cranking out Beethoven. There are a few things lacking in these devices - a loop through for the USB would have been useful so that using these units together didn't require three ports or a hub. On the NanoPad a roll sequencer in the editor would have been interesting, and real keys on the NanoKey would have been a better option. All in all though these Nanos will do the job they are designed for and at the asking price they are very nice. If you think of the price of a quality mouse or keyboard nowadays these become even more enticing, for the laptop muso on the go they fit in the case with the computer and work when called upon.